The countdown has officially come to a close for one of the biggest nights in entertainment history! Get ready for tons of epic moments, a countless amount of sensational celebs under the same roof – oh, and did we forget? – a WHOLE BUNCH OF SLIME! This year’s Nickelodeon Kids’ Choice Awards has a lot of amazing surprises in store and so many incredible celebrities will be making their way on over to the “Fabulous” Forum in Inglewood, California tomorrow, March 24th to join in on all of the fun. Nickelodeon never fails in making the KCAs one of the most exceptional days for everyone – from the celebs attending the event to the awesome viewers at home. This one of a kind award show puts the biggest smile on everyone’s face. WWE legend John Cena will be back for his second year in a row to host the renowned and prestigious award show. You’ve spent so much time voting for your fave celebs to win big at the KCAs and now it’s time to tune in and see who will be taking home a coveted blimp of their own. Some of the biggest names in the entertainment world will be heading on over to the orange carpet including Dwayne “The Rock” Johnson, Channing Tatum, Nick Cannon, Shawn Mendes, Camila Cabello, Kristen Bell, Zendaya, Hailee Steinfeld, Yara Shahidi, Candace Cameron Bure, Grant Gustin, Laurie Hernandez, and that’s just naming a few. Woah! In addition, many phenomenal Nickelodeon stars will be in attendance at the greatest event of the year. Knight Squad stars Daniella Perkins, Lilimar, and Owen Joyner, Rise of the Teenage Mutant Ninja Turtles stars Kat Graham, Omar Miller, Ben Schwartz, Josh Brener, Brandon Mychal Smith, Nicky, Ricky, Dicky & Dawn star Lizzy Greene and many more will be at the event. To add onto all of the excitement, there will be two, unforgettable performances taking place at the Kids’ Choice Awards that you totally won’t want to miss. None other than the prolific and multi-talented JoJo Siwa will be taking on the KCA stage to perform a medley of some of her greatest hits. The highly-acclaimed and profound band, N.E.R.D. will also be performing at the Kids’ Choice Awards and it will definitely be a performance that will blow you away. The Nickelodeon Kids’ Choice Awards will certainly be the trending topic that everyone will be talking about and now YOU can get an inside look at where all of these spectacular celebs will be sitting at the award show! You’re going to be the KCA pro and you’ll know exactly where all the celebs will be sitting even before the award show takes place tomorrow. School of Rock‘s Breanna Yde and I give you a behind-the-scenes look at where everyone will be seated at the Kids’ Choice Awards. 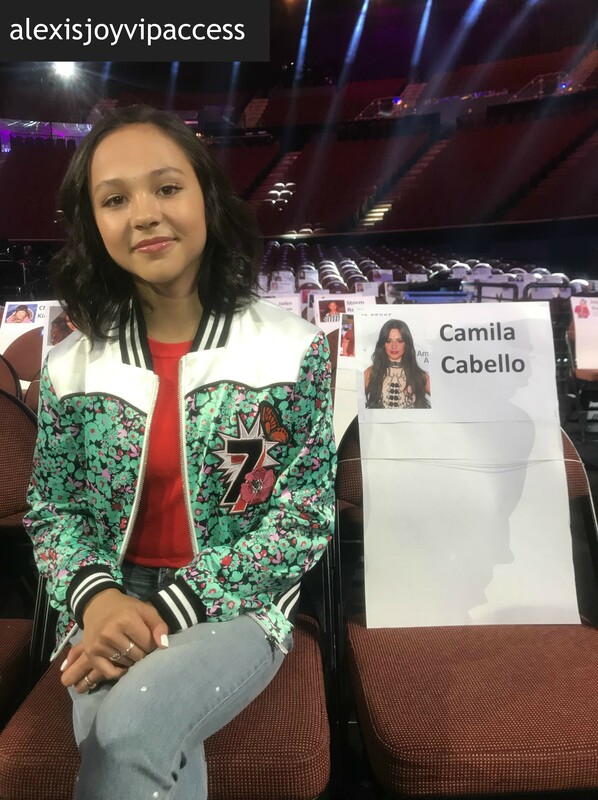 Check out my VIPAccessEXCLUSIVE 2018 Nickelodeon Kids’ Choice Awards seating card tour with the remarkable and dazzling Breanna Yde below! Don’t forget to tune in to the magnificent KCAs airing tomorrow, March 24th at 8:00 PM (ET/tape delayed for the West Coast) on Nickelodeon. Previous VIPAccessEXCLUSIVE: Siena Agudong And Kamaia Fairburn Talk About Their Show “Star Falls” At The Kids’ Choice Awards Press Junket In Their Interview With Alexisjoyvipaccess! Next Article: Jake Allyn Had An Exceptional Time At His Planet Hollywood NYC Appearance And Handprint Ceremony!